One of many interesting traditions of Papua New Guinea is the chewing of betel nut–the cause of countless, brilliant red-stained teeth and lips of the local men and women. Betel nut, or what the locals call buai [boo-eye], grows in the tropical climates of South East Asia and is popular in the South Pacific Islands. It can be found on every street corner in Papua New Guinea and is chewed as part of social occasions or as a part of everyday life. Betel nut has a mild stimulant effect and in addition to reasons of tradition local people chew it for stress reduction, heightened awareness, and suppression of hunger. 1) Break the betel nut open by cracking the shell with your teeth. Take the meaty center out of the shell and start chewing it. 2) Chew the betel nut for 2-5 minutes. Do not swallow! Trust us on this. 3) Moisten and dip the mustard stick into the jar of lime powder. 4) Move the betel nut wad to the side of your mouth and then bite off the piece of mustard seed that has the lime powder on it. Don’t let the lime touch your gums or you’ll feel a burning sensation. Once again, trust us on this. 5) As you chew the mixture together, they will form a chemical reaction that will make your teeth and lips red and provide a mild stimulant. 7) Keep chewing until there is no more betel nut left. You may have a mild euphoric feeling because of betel nuts’ mild stimulant effects. Or if you’ve done it wrong-like many foreigners have done before you–well, you might feel absolutely nothing at all. With all these steps, effects and risks- it becomes quite clear that this is a local’s only activity. 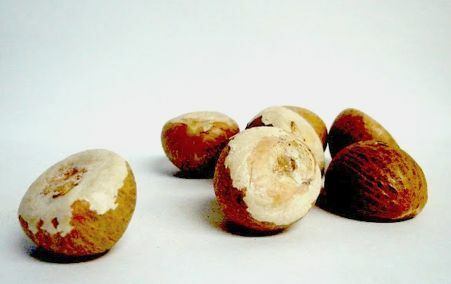 Very few visitors actually practice chewing buai as they lack the social and traditional connection that the locals possess. If you want to abstain from chewing betel nut, but still keep some street cred, you could say “no kaikai buai” which means “I don’t chew betel nut” in Tok Pisin- Papua New Guinea’s main language. In any case, whether you choose or refuse to chew, you now know a little more about the customs in Papua New Guinea. South Australia has it all and combines these riches into regional bundles that are easy to manage, whether it means hubbing in Adelaide, sidetripping to Kangaroo Island, going on a mini-walkabout in the Flinders Ranges or heading into the scenic and quaint foothills of the local wine and food belt to taste what’s on the cutting edge of Australia’s culinary movement. Adelaide gets much less attention from international visitors than it deserves. Its location in South Australia is 20 minutes from the beaches and Port Adelaide and at the same time 20 minutes from the hills of its celebrated wine country. With the Indian Pacific and Ghan rail lines at its doorstep, Adelaide makes a good starting point for travelers who want to head into the Great Red Center and onto the Northern Territory, or to the Western city of Perth. Similarly, Adelaide can be a terminus or starting place for rail trips to Melbourne and Sydney. The town itself is a sleepy small city with plenty of attributes to be considered. The center of town is quite walkable with some 17 hotels within a few short blocks of each other, all buffered by open shopping promenades and markets, restaurants, museums and grand gardens. It was created in 1836 as a capital of the free British. Named for Queen Adelaide, the German consort of King William IV, the region saw an unusual influx of Germans to its shores, mostly fleeing persecution from the Prussian province of Silesia (modern day Poland). And they settled in the hills north of Adelaide where temperate climes created the perfect conditions for the blending of Cabernet Sauvignon and later, some the Australia’s most coveted Shiraz labels. A bit of German history remains in such towns as Hahndorf, seen in the fachwerk buildings and cafes serving German fare. But folks roaming through the Adelaide Hills and the slopes of Barossa Valley are coming as much for the food as they are for the beauty. Australian is the fourth-largest exporter of wine in the world. It’s as big a part of the culture, as it is the economy and tourism. Visitors come for the kangaroos, the beaches and the wide-open spaces. But they also come for the wine. 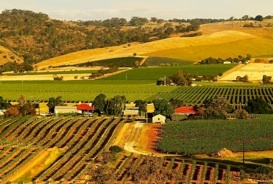 Adelaide is surrounded by some of the country’s top wine regions: McClaren Vale, the Barossa Valley, and Coonawarra. In the Barossa, about an hour’s drive north of Adelaide, find what is considered Australia’s most famous winery: Penfolds, whose Grange, is possibly Australia’s most notable and expensive wine – pouring at a mere $125 a glass. The Shiraz (96%) and Cabernet Sauvignon blend retails at more than $400 a bottle. For wine and food enthusiasts, a stop at Penfolds winery in Barossa is not only a must, it is a fun and unusual experience. The winery offers a laboratory where guests don white jackets, grab measuring flasks and bottles of Grenache, shiraz and cabernet and set forth to blend their own labels, getting messy and silly as the session wears on. The winery is often included on tours and group itineraries as a perfect icebreaker and one that allows guests to take home their own creations. Beers is considered the Martha Stewart of Australia, although with a much more warmer appeal. She gained her fame in opening the Pheasant Farm Restaurant on the site, working magic with game and plying creative uses for her verjuice, which she sells by the riverful at her farm store on the same site. From her shop and restaurant she tapes shows and offers cooking demos of handpicked recipes. The stop is as popular with groups as it is with individuals, especially when cooking sessions are involved. Travelers will find other attractions along the byways: Lyndock Lavender Farm, Jacob’s Creek Visitors Center, The House of Olives, the Barossa Farmers Market (Saturday mornings), Mengler Hill Lookout and the Williamstown Whispering Wall. It’s all put together through a South Australia Tourism concept called Barossa Butcher Baker Winemaker Trail, in maps and value card to highlight what the Barossa does with local ingredients. The trail leads to local wineries, bistros and dining venues and farm shops that offer intimate food and wine experiences and products made with traditional methods and ingredients. The trail provides a road not only to retailers and artisans, but also to special tours and gourmet themed programs, ongoing and seasonal. Brochures and maps can be found at visitor centers in Adelaide and Barossa. Closer in, the Adelaide Hills east of Adelaide presents a lovely drive through 19th century European villages and historic mining towns. Mount Lofty Summit has the views over Adelaide Plains, complemented by a shady botanic garden. Nearby Warrawong Wildlife Sanctuary has the potoroos, the platypuses, the bilbies, bandicoots and bettongs and, of course, kangaroos. Food lovers will want to visit Birdwood Wine & Cheese Centre for samplings of artisan cheeses and boutique wines, and have lunch at the Locovore Restaurant in Stirling, where only foods grown, made or distilled within a 100-mile radius are served. From the artsy village of Stirling it’s an easy drive to Hahndorf for quality crafts and galleries, and delightful cheeses. Beyond its nearly three dozen cellar doors, the area is dotted with a smattering of unusual finds: Fairyland Village in Lobenthal, the National Motor Museum in Birdwood, Melba’s Chocolate Factory at Woodside, the 54-foot-high rocking horse at Gumeracha … all about 20 minutes from the center of town. Life is a Cabernet offers tailor-made tours from Adelaide into McLaren Vale, Clare Valley and the Barossa with great guidance from local wine and food lovers who are characters in their own right. Rates for customized private tours run $71 USD/hr, minimum four hours. Set picturesquely between the majestic Piton Mountains, this romantic island hideaway integrates charming historic structures into its 192 acres of lush, tropical rain-forest. This beautiful plantation sits on the site of a 18th century sugar plantation and sweeps down to Sugar Beach…awesome! 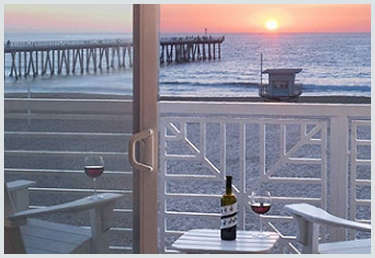 The sophisticated accommodations range from the Sugar Mill rooms to the 2-bedroom Grand Luxury Villas. The lavish spa offers decadent treatments. 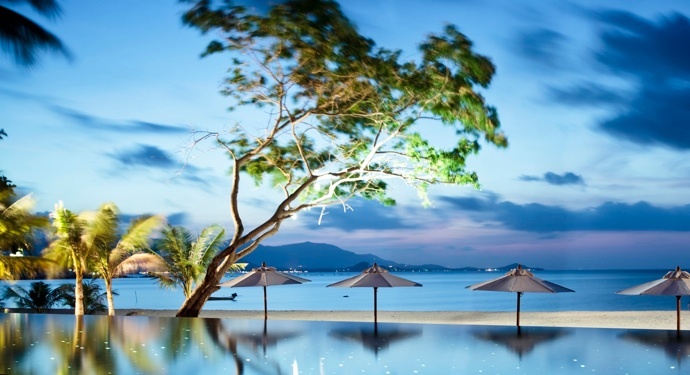 There is complimentary sailing and kayaking, and the PADI dive shop organizes excursions. You can wed among the crumbling remains of an old sugar mill, on the powder-soft beach, or on a dock over the sparkling water. A range of wedding packages offer a world of customizable extras, and wedding planners handle all the details. Following a three-month dry-dock repair of its engine room the Carnival Splendor set sail Sunday with a full load of passengers heading on a seven-day Mexican Riviera cruise from its home port in Long Beach, CA. It marks the first sailing for the ship since it was marooned at sea 150 miles off the coast of San Diego November 8, 2010 after a diesel engine generator caught fire in the engine room. The fire was contained in the engine room but the heat melted insulation that protected the ship’s 110 miles of electrical cables that would have allowed a second engine room to take over. The result was a total loss of power for three days. The beleaguered ship was eventually tugged into San Diego. The company added several safety measures to the new repairs: improved sensors, stronger insulation protection and the creation of a fire safety task force across the cruise line fleet – including better trained crew and stronger communications with land-based response facilities. Damages from the incident, from the cost of repairs to the cost of reparations and lost revenue from cancelled sailings top $65 million, Cahill says. The Splendor incident in November displaced 47,000 passengers in all. In a conciliatory gesture following the fire, the cruise line reimbursed the 3,299 passengers aboard the cruise, took care of passenger transfers and hotel nights and safe return to their onward, flights and sent them off with promise of a free equivalent cruise at a later date. Passengers who were booked on cancelled cruises were given full refunds and discounts toward a future sailing. “We have not had any problems in rebooking passengers or with any passengers who sailed on the ship,” says Peter Ward, a travel consultant with Legendary World in San Marcos, CA. But recent reports from some disgruntled passengers and travel agents say the cruise line has not been so forth coming. “If there are some unhappy passengers out there we don’t know about them,” says Cahill. The 3,006-passenger Splendor is one of three Carnival ships based in Southern California with sailings to Mexico. The Paradise sails out of Long Beach and the Spirit docks in San Diego for another 15 months before moving to Australia. 1. Wash the peppers and tomato. Roast them directly into the flame, let cool and peel. 2. The peppers are dried thoroughly and roasted with a hint of oil on low heat, covered in a pan, until you can discard the shell. 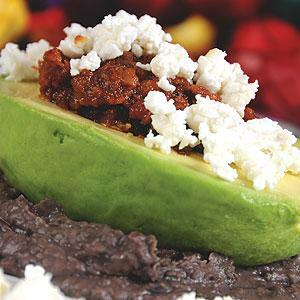 Peel the tomato and ground everything in a “molcajete”. 3. Cut the “chicharron” into pieces and put in a pan. 4. Move constantly, and add the salsa from “molcajete”, the cube, and 2 cups of hot water.